The Magnetic Minky Coverall, featuring magnetic fasteners and no over-the-head design, will get your baby ready for cool weather in no time at all! Completely lined in ultra-soft combed cotton from ear to paw, this versatile outfit will keep your baby comfy, warm, and happy. 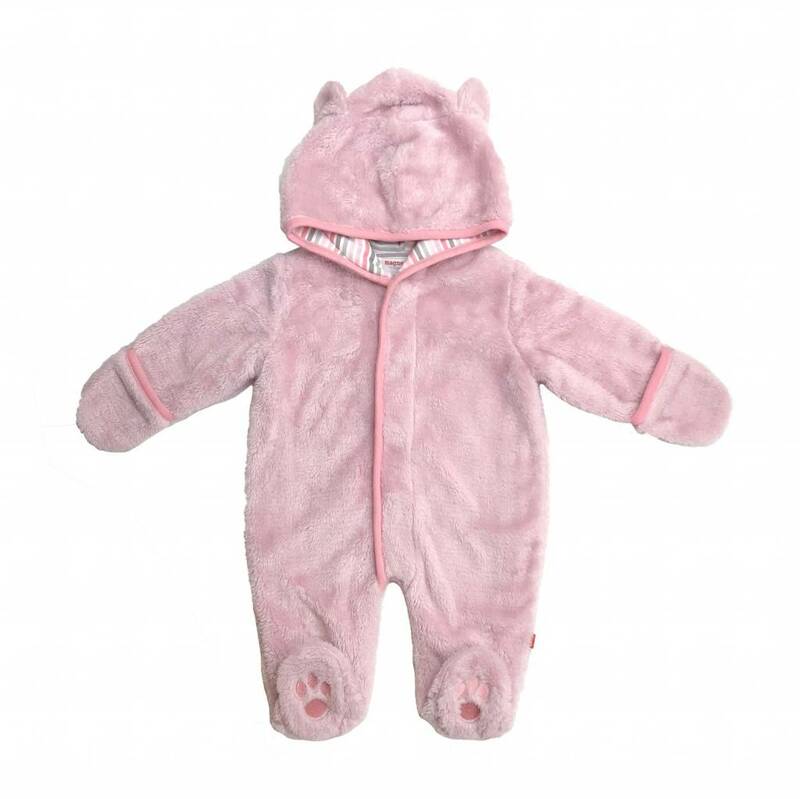 Features attached mittens and fuzzy bear ears so your little cub will never look cuter.